Todd Pletcher, Javier Castellano and Ken and Sarah Ramsey finished 2013 as the leading trainer, jockey and owners, respectively, by North American earnings, according to final statistics released today by Equibase Company LLC, the Thoroughbred industry's official database for racing information. Breeders' Cup Classic (Gr. 1) winner Mucho Macho Man led all Thoroughbreds in 2013 with North American earnings of $2,984,000. Will Take Charge, who narrowly lost to Mucho Macho Man in the Classic, was also a close runner-up in earnings, finishing the year with a total of $2,960,977. The year-end compilations are distributed annually by Equibase and include results from Thoroughbred racing in North America from January 1, 2013, through December 31, 2013. Expanded North American racing leaders' lists that include all trainers, jockeys, owners and horses are available within Stats Central at equibase.com. Completing the list of top 10 horses by North American earnings were 2012 Horse of the Year Wise Dan with $2,751,972 in earnings, Game On Dude with $2,575,735, Orb with $2,557,566, Beholder with $1,860,000, Verrazano with $1,691,300, Magician (IRE) with $1,650,000, Princess of Sylmar with $1,539,000 and Dank (GB) with $1,536,500. With the exception of Kentucky Derby winner Orb, all other horses ranked in the top 10 competed in the Breeders' Cup World Thoroughbred Championships. Pletcher, who led all trainers for the past three years and previously topped the trainers' list from 2004-2007, sent out the winners of 224 races from 946 starts for earnings of $25,248,816 in 2013. Runner-up again for the second consecutive year was Bob Baffert, whose horses won 133 races from 570 starts for earnings of $15,317,291 in 2013. Completing the list of top 10 trainers by North American earnings in 2013 were Chad C. Brown, $13,395,419 (148 wins / 543 starts); Steve Asmussen, $11,924,891 (307/1,525); Bill Mott, $11,760,692 (113/612); Jerry Hollendorfer, $11,221,761 (241/1,049); Mark Casse, $8,565,108 (128/679); Michael J. Maker, $8,357,325 (228/998); John W. Sadler, $7,727,780 (121/695); and Doug O'Neill, $7,611,224 (129/864). Javier Castellano established a single-season earnings record in leading the annual North American leading jockeys' list in 2013, breaking the previous record set by Ramon Dominguez in 2012. Castellano rode the winners of 362 races from 1,617 mounts and ended the year with earnings of $26,213,507. Joel Rosario finished second with 275 wins from 1,295 mounts and earnings of $21,585,941. Rounding out the list of top 10 jockeys by North American earnings in 2013 were John Velazquez, $19,364,851 (178 wins / 929 mounts); Rafael Bejarano, $15,600,454 (258/1,153); Irad Ortiz Jr., $14,343,518 (223/1,508); Jose Lezcano, $13,953,334 (170/964); Mike E. Smith, $13,797,517 (84/422); Rosie Napravnik, $13,242,202 (269/1,228); Luis Saez, $13,102,164 (175/1,310); and Junior Alvarado, $12,863,592 (191/1,076). Hall of Fame rider Gary Stevens, who came out of retirement in 2013 after a seven-year hiatus, ended the year as the 12th leading rider by North American earnings with 69 victories from 383 mounts and earnings of $11,910,748. Ken and Sarah Ramsey won 230 races from 880 starts and earned $12,231,045 in North America in 2013 to lead all owners. Runner-up was Midwest Thoroughbreds Inc. with 401 victories from 1,479 starts and earnings of $7,230,797. 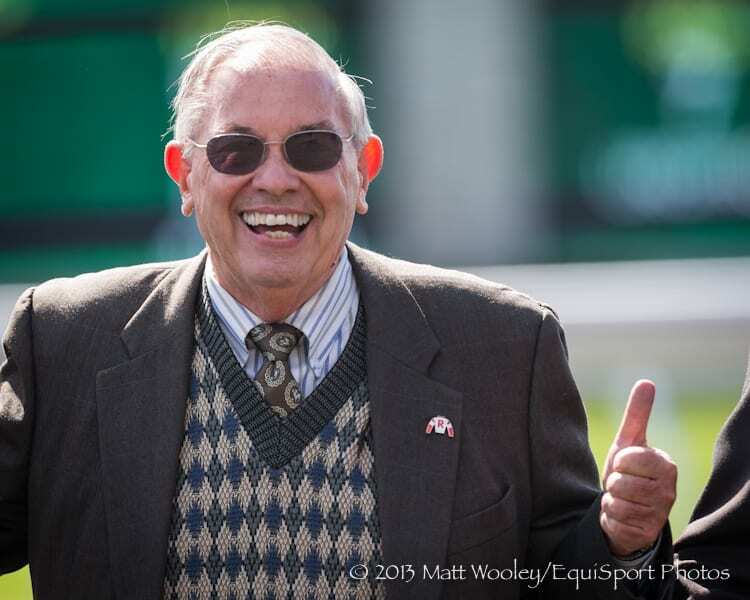 Completing the list of top 10 owners by North American earnings in 2013 were Gary and Mary West, $4,520,470 (48 wins / 206 starts); Darley Stable, $4,461,648 (69/364); Repole Stable, $4,323,838 (52/204); Drawing Away Stable and David Jacobson, $4,088,458 (90/398); Maggi Moss, $4,030,021 (143/418); Juddmonte Farms Inc., $3,820,465 (26/100); John C. Oxley, $3,537,290 (44/235); and Willis D. Horton, $3,236,001 (9/31). In addition to the official North American racing leaders' lists available at equibase.com, Equibase also provides a second set of leaders' lists that includes the results of the Dubai World Cup card from March 30, 2013, at Meydan Racecourse. Including these international earnings, Dubai World Cup winner Animal Kingdom led all horses in earnings with a total of $6,060,000 and the winning rider, Joel Rosario, led all jockeys with $27,585,941. There were no changes in the other categories. This entry was posted in Racing and tagged equibase, equibase llc, Horse Racing, Javier Castellano, ken and sarah ramsey, Mucho Macho Man, Paulick Report, todd pletcher by Press Release. Bookmark the permalink.